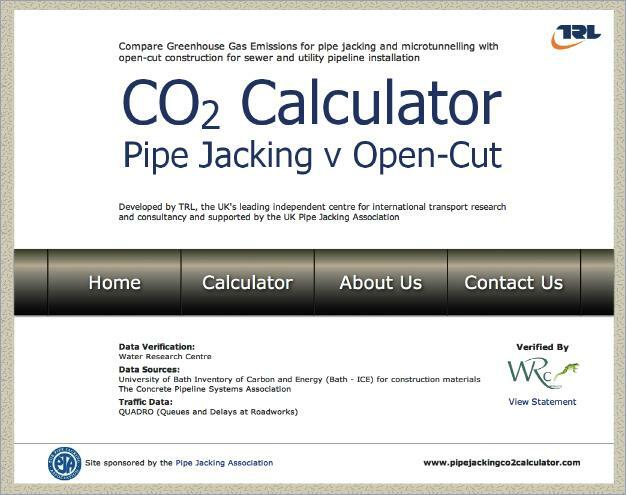 Compare the CO2 emissions for pipelaying projects, simply by inputting a few basic parameters. The calculator will undertake all the detailed calculations and in seconds produce an emissions comparison between non-disruptive pipejacking or microtunnelling and open cut construction. The calculator has been developed by TRL and verified by WRc for the Pipe Jacking Association. The calculator is free to use and no registration is required.